With all of the holidays, November and December are great times to think about giving back to others in your community. Whether you choose to volunteer your time, donate toys for kids or spend time at a nursing home with residents who don’t get many visitors, there are so many ways to give! If you have time or money to give during the holidays, you can find a cause that is important to you. If the cause closest to your heart is helping children with critical illnesses, we have a great way for you to do that! When you donate a car to Wheels For Wishes benefiting Make-A-Wish, you help to bring hope, strength and joy to children during a time when they need it the most. Your car donation will help your local chapter of Make-A-Wish, helping them to grant the wishes of children in your community. A wish can be anything a child wants – whether it is a vacation, the chance to meet their favorite celebrity, or to have a play house built in their back yard. 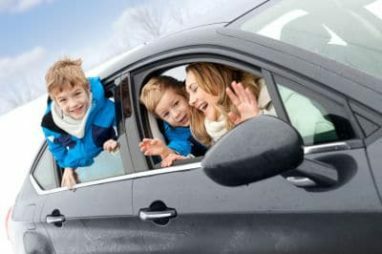 Your car donation to Wheels For Wishes can help a child get their wish and have something wonderful to look forward to this holiday season. How Do I Donate My Car? Give us a call at 1-877-431-9474 or take a moment to fill out our online car donation form. Our donation representatives will take care of all the paperwork for you and will be available to help with any questions you may have. Next, wait for a call from us to schedule your free vehicle pick-up or tow. All you need to do is clean out your personal items from the vehicle. Don’t worry about repairing or washing the vehicle first. Finally, wait for your tax-deductible receipt to arrive in the mail. Save this receipt to use for your tax deduction during tax time. Wheels For Wishes accepts most kinds of vehicles, regardless of make or model, age or condition. Your vehicle doesn’t even have to run! In addition to cars, we also accept trucks, boats, motorcycles, RVs, and Jet Skis. When Is The Best Time To Donate A Car? Wheels For Wishes accepts car donations year-round, but now is the perfect time to donate if you’re looking to get a tax deduction for 2014. Any donation made before 11:59 p.m. on Dec. 31 will give you a great tax deduction for this year’s taxes. If you’re ready to make a vehicle donation, don’t wait! Give us a call today at 1-877-431-9474 or fill out our online car donation form. Each and every donation makes a positive difference.